Get industry leading DDoS protection and emergency mitigation of even the most complex attacks. Distributed denial of service (DDoS) attacks attempt to deny legitimate users access to your systems or networks by overwhelming them with bogus requests. 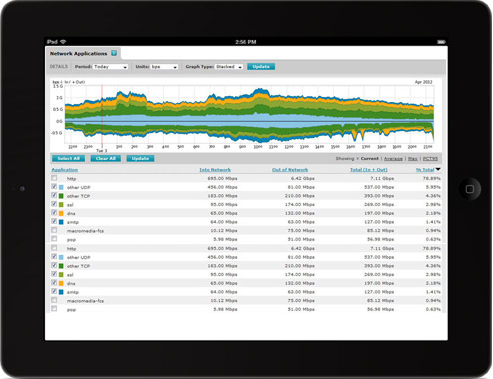 They target important resources, like network bandwidth, server sockets, web server threads, and CPU utilization. Distributed Denial of Service Attacks can have a significant impact on your company. These include downtime, lost revenue and brand tarnishment, just to name a few. It doesn’t matter if you are a large enterprise, small business, e-commerce company or government institution, if your website is internet facing, you’re vulnerable to Distributed Denial of Service attacks. This is why it’s imperative that you detect and stop these attacks before they impact your business. 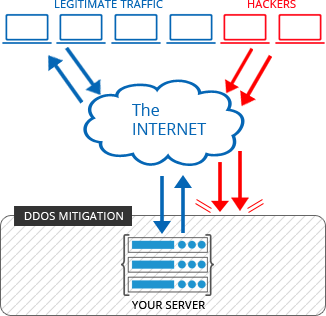 Our comprehensive, state-of-the-art DDoS Attack Protection has three critical functions: detection, mitigation, and reporting. 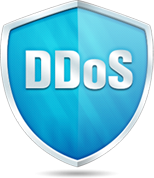 Once you sign up for DDoS Attack Prevention we begin monitoring all network traffic (not just web traffic, like other providers) to your server(s), at the border layer of our network, in real time. At this safe layer, we use analytics as well as our Threat Detection System to intelligently and proactively identify attacks before they reach any critical layer of your infrastructure. When detected, any malicious traffic is scrubbed and separated from all other traffic prior to being mitigated by countermeasures, tailored specifically to the type of attack we have identified. Our specialized hardware ensures that all legitimate traffic proceeds directly, unimpeded, to your server throughout the duration of the attack. Our DDoS Attack Protection includes a web-based user interface where users can view detailed information about their incoming and outgoing network traffic. Reports include: total traffic, traffic by application type, traffic by network protocol, traffic by country, ongoing DDoS alerts, ongoing Mitigations, and detailed information regarding the DDoS attack.